"I was a single pregnant female without a phone or anyone around to help. [...] I legit thought this evening I was going to die. I honestly felt it was the end and they didn't even help me to the bathroom." "I was too afraid to file a complaint because she implied that she could come after me. I didn’t know how or for what reason but I was so scared of her that I didn’t say anything until my son was 18 months and I was back at work. I realized that there’s nothing she could do, and I filed a complaint with the hospital." "The OB said they might as well deliver her by forceps now, and said out loud "let's give this baby a little more room, shall we", and I heard and felt the scissors cut into me as he gave me an episiotomy." 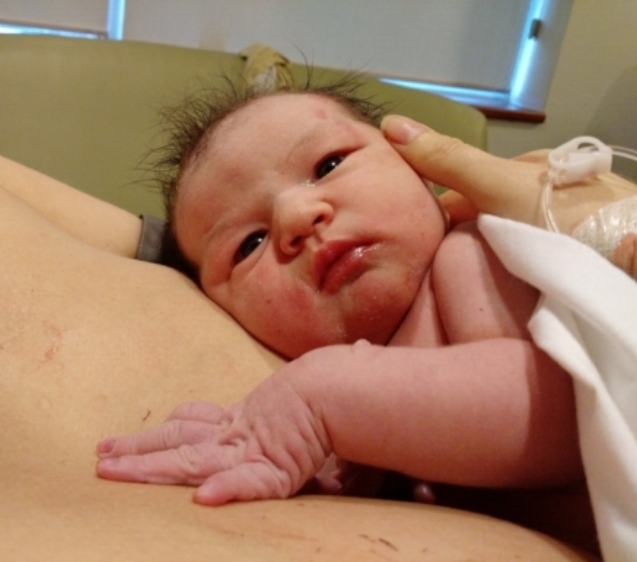 "Once suction started I had a couple of pushes, and without asking, she gave me an episiotomy." "I have had so many questions about whether those moments without oxygen will affect my child for the rest of his life. I also had a very difficult time in the first year because I kept thinking about the birth, that maybe it was my fault"
My name is Kate Macdonald and I started The Reproductive Justice Story Project as a place to talk about mistreatment and abuse in reproductive healthcare. I have struggled with the effects of my birth trauma since my baby was born in February 2017. In the days and weeks after returning from the hospital, I began to experience vivid flashbacks of my birth experience. I couldn't even sleep on my back, lounge with my knees apart, or be touched anywhere on my body without having sudden intrusive memories that sent my heart racing with panic. I'd wake up sobbing in the night feeling completely shattered and violated again. The physical sensations were so real that it was like I was right back at the hospital. Although I have experienced disadvantage in my life, I am also incredibly privileged. I came into the hospital that day along with that privilege; I am a white settler, I am able-bodied and English-speaking. I have a stable, loving home and a caring partner who supports our family. Before this experience, I believed myself to be fairly assertive and strong, but even I felt completely powerless and vulnerable when I was giving birth. The trauma I experienced has left me forever changed. The response I received from the hospital when I tried to speak up about my experience was disappointing, re-traumatizing, and blatant victim-blaming. I began posting in online forums and talking to new parents at drop-ins and groups, wondering if others had had similar experiences to mine. The reports given by the people I spoke to ranged from small cruelties, to acts that in any other setting would absolutely be considered sexual violence. Why do so few survivors of sexual violence come forward? The parallels here are too strong to ignore. I’ve learned that while many report having really positive birth and reproductive healthcare experiences, many others leave these interactions feeling disappointed or hurt by the way they were treated. I am not alone. This is not just a problem at one hospital, it's happening all over and it’s time for a change. It's time to speak up about abuse and mistreatment at the hands of healthcare professionals. We need to start talking about what respectful, dignified, compassionate care looks like and how to make it a reality for every patient, not just the lucky ones. I know from experience that it's hard to speak up. It's so, so hard. I'm hoping that The Reproductive Justice Story Project can help make it a little easier. Change can happen if we speak up together!